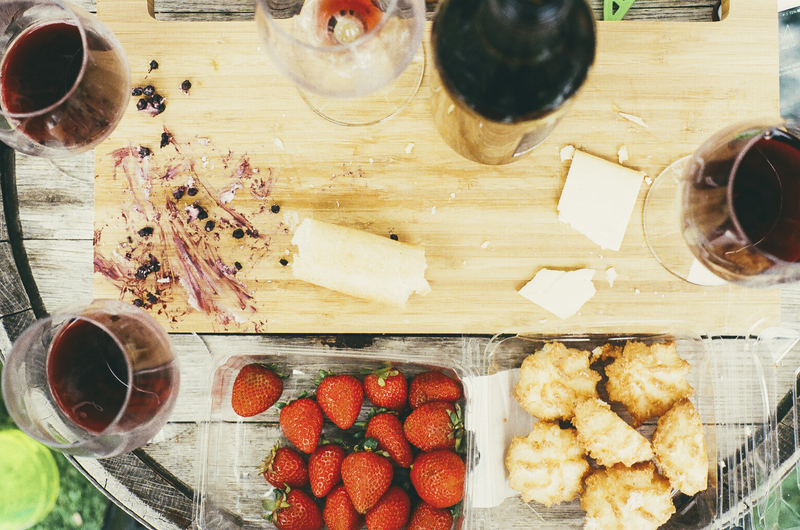 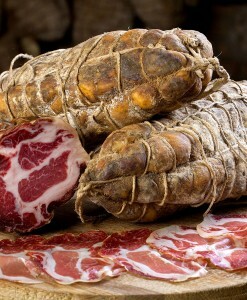 Nostrano is mild in flavor and features white wine and coarse black pepper. 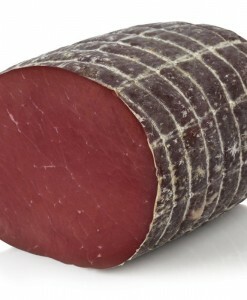 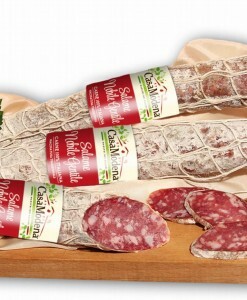 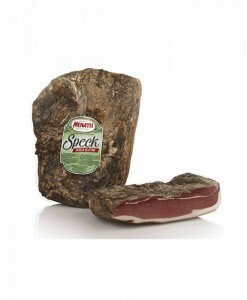 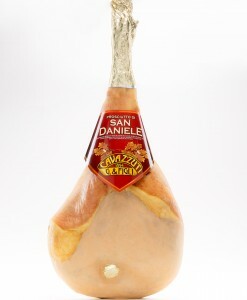 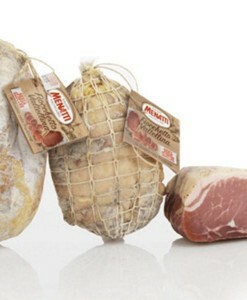 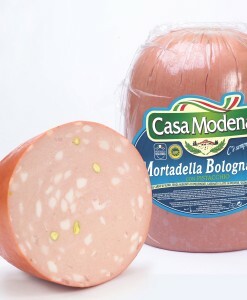 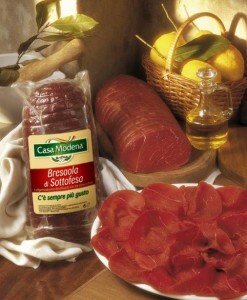 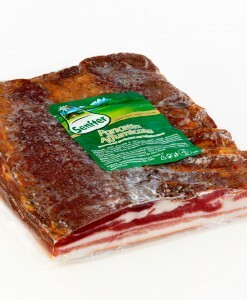 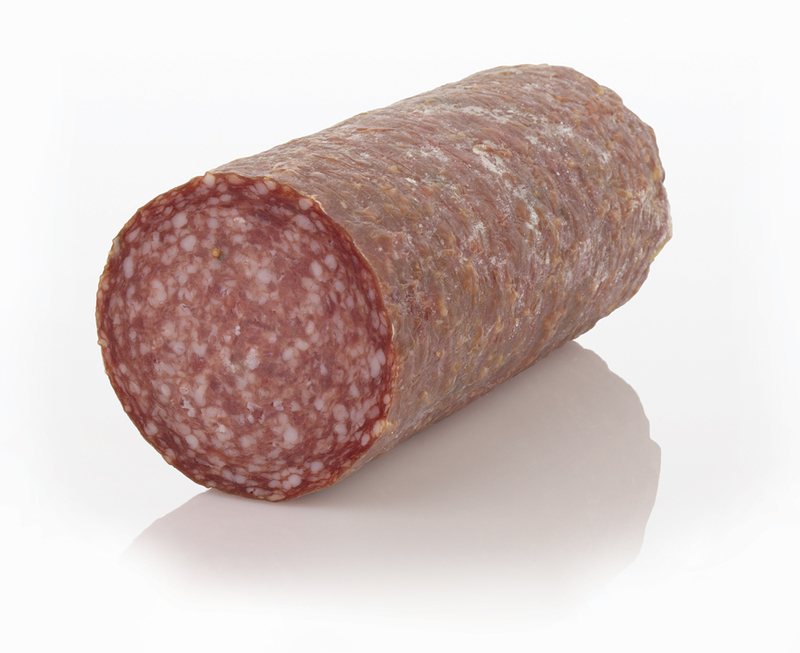 This traditionally made salami uses the finest quality pork thigh meat. 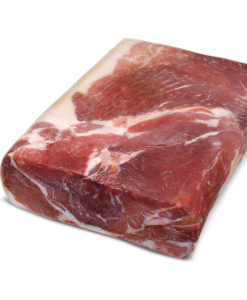 It is hand tied in 1″ increments along the entire length to maintain the shape during the curing period. 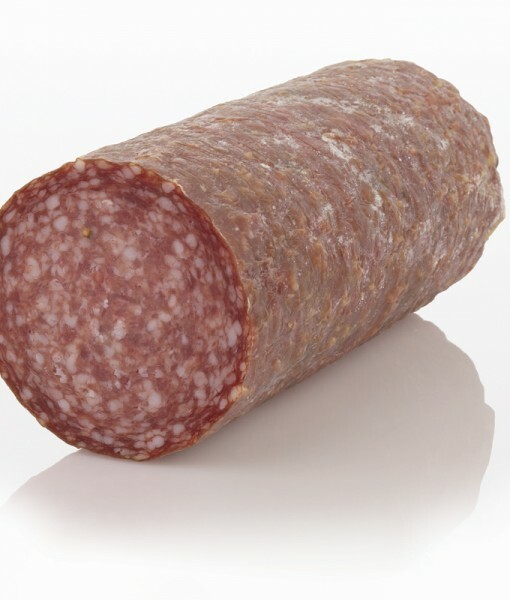 The name Nostrano means “Our Own” in Italian, and is made with our own recipe in the Piemontese style of “felino” salami, made in the northern Italian town of Felino.